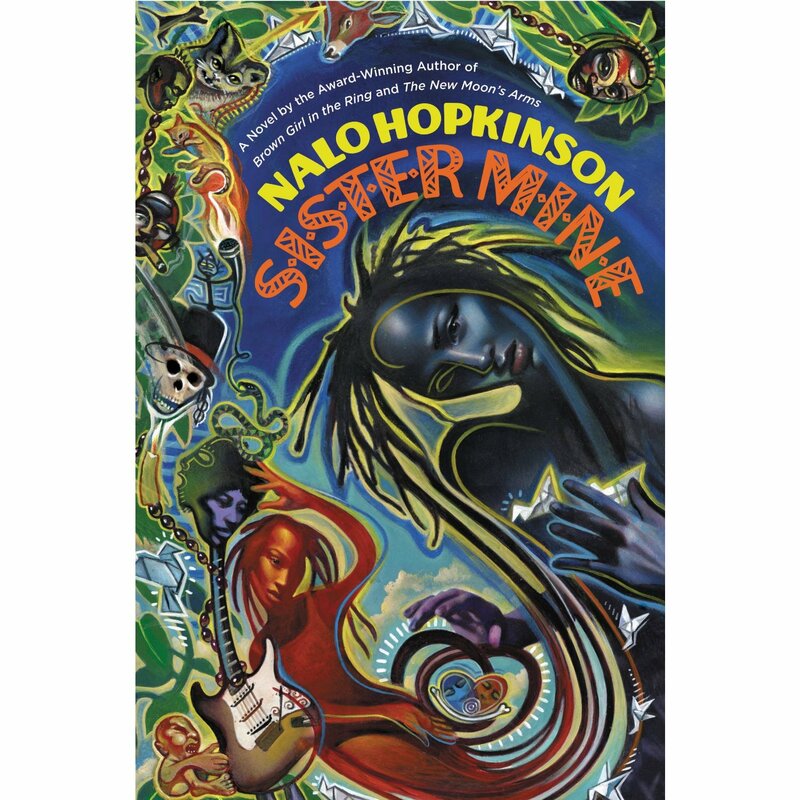 The Sunburst Award jury says: Nalo Hopkinson's Sister Mine is a novel that defies: defies categorization; defies convention; defies expectations. Deserving its place among the best books of the year, Sister Mine's nuanced forays into celestial heritage, sibling rivalry, and good old-fashioned sexual exploits of the deific variety (think ancient mythology) unfold with the genteel pace of classic oral tradition but the in-your-face sensibilities of post-punk modernism. A book that challenges, and in challenging, ignites. 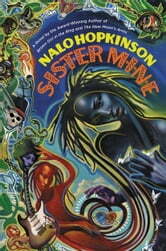 Nalo Hopkinson’s science fiction and fantasy writing has been nominated for, and won, several awards, including the Sunburst Award, of which she is a two-time winner. A long-time resident of Toronto, she currently lives in California, where she is an associate professor in creative writing at the University of California, Riverside. The Sunburst Award jury says: Gavriel Kay is the rare author whose imagination is liberated by research. He takes China’s Northern Song Dynasty and transforms it into Kitai, something wholly his own. Ren Daiyan is from Kitai’s hinterland, a dreamer as a boy who vanquished imaginary foes with a bamboo sword, grown into a man with his destiny written on his skin: the destiny to be Kitai’s protector. 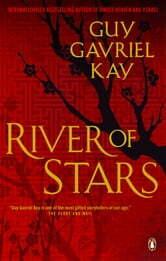 Gavriel Kay knows how legends are made and River of Stars is a treatise on the subject. It is a big canvas, painted with a subtle hand, equal to the intricacies of court intrigues and the grand movements of military campaigns. The literary path from backwoods to battlefield is well worn, but River of Stars is never formulaic, because Gavriel Kay is equally adept at transmuting genre as he is at transforming history. Guy Gavriel Kay is the author of numerous acclaimed international bestsellers, which have been translated into more than twenty languages and won numerous awards, including the Sunburst Award and the World Fantasy Award. He is the recipient of the International Goliardos Prize for his contributions to the literature of the fantastic. A lawyer by training and a writer by inclination, he lives in Toronto. The Sunburst Award jury says: Silvia Moreno-Garcia’s short story collection This Strange Way of Dying is a grimoire of the beautifully macabre, capable of summoning up strange worlds imbued with the secret fears and thrills we try to bury in shadow. Moreno-Garcia’s words on the page whisper sweet seductions, inviting the reader to open doorways to her or his subconscious and become familiar with things that have been estranged. This Strange Way of Dying bridges the divides between science fiction, horror, and fantasy, opening readers to the overall power of the uncanny, whether through Lovecraftian stories of summoning darkness, feathered snakes, vampires, necromancers, resurrected soldiers, witchcraft, or tales of murder and betrayal. Silvia Moreno-Garcia makes the mundane magical, the normal strange, and points out the macabre foundations of our social myths. This Strange Way of Dying opens funhouse mirrors, revealing for the reader her or his own distorted image, changed by the experience of reading. 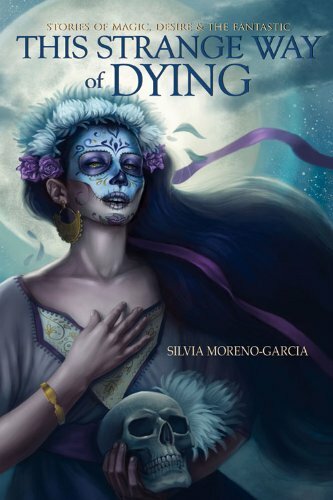 Sylvia Moreno-Garcia is a writer, editor, and publisher who was born in Mexico but now lives in beautiful British Columbia. In 2011 she won the Carter V. Cooper/Exile Short Fiction Competition in the Emerging Writer category. This Strange Way of Dying is her first collection; her debut novel, Signal to Noise, will be published in 2015. The Sunburst Award jury says: Cast ashore on Vancouver Island by the Pacific Gyre, a Hello Kitty lunchbox opens upon an ocean of story, connecting Ruth and Nao across space and time. Some books flirt with the fantastic, Ozeki's dances with it, such that it weaves through the narrative with sinuous grace, embracing evanescence. As Nao declares to the reader at the outset, "You're my kind of time being, and together we'll make magic." All matters therein are given equal weight, yet the novel has a deft touch, often humorous. It is a seriously playful work. A Tale for the Time Being is sui generis, free ranging over fact and fancy, physics and metaphysics, the intimate and the universal; in a true sense it is a Zen koan extended to 422 pages, which is yet another paradox. Like the bumblebee, it shouldn't fly but it does. Beautifully. Ruth Ozeki is a novelist, filmmaker, and Zen Buddhist priest. Her films have been shown at the Sundance Film Festival and on PBS, and her writing has been published in more than a dozen countries in eleven different languages. 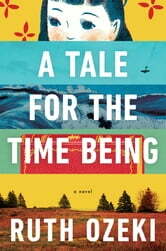 A Tale for the Time-Being was shortlisted for the Man Booker Prize in 2013. She divides her time between New York City and British Columbia. The Sunburst Award jury says: Professor David Ullman is a leading authority on demonic literature, a demonologist who doesn't believe in demons--until one contacts him. Melancholy and lonely, but always sympathetic, David is at his truest heart a dedicated father. He must race against time, using clues from Milton's Paradise Lost, to save his daughter, Tessa. This dark and chilling fantasy has a great opening hook, strong pacing, complex characters, and a satisfying ending. Andrew Pyper has written six novels and one collection of short stories; Lost Girls (1999) won the Arthur Ellis Award for Best First Novel. The recipient of a B.A. and M.A. in English Literature from McGill University, he also has a law degree from the University of Toronto and was called to the bar in 1996, but has never practiced. He now lives in Toronto. The Sunburst Award jury says: All her life, Otter has wanted to be a binder like her powerful mother, to set the wards and protect their small village from the spirits of the dead, the gasts, and the terrible White Hands. 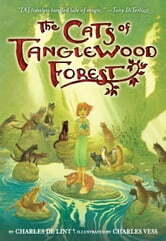 But when her mother chooses another as her apprentice everything goes awry. 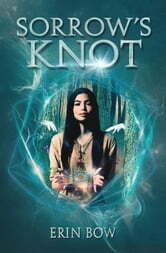 In this excellent First Nations fantasy Erin Bow has created a deep, rich culture that challenges gender assumptions by exploring a society of empowered women. The isolation of the community, with the death spirits held back only by thin string, gives the story a claustrophobic feel and creates strong suspense. Erin Bow is a physicist turned poet turned author who has written two young adult novels. Her debut novel, Plain Kate, won the TD Canadian Children’s Literature Award, Canada’s top award for children’s literature. Born in Des Moines, and briefly resident in Switzerland—where she worked at the European Centre for Nuclear Research (CERN)—she now lives in Kitchener, Ontario. The Sunburst Award jury says: A deceptively simple wish-fulfillment fantasy, The Cats of Tanglewood Forest draws upon the deep tradition of animal fables and fairy tales, upon the folklore of New World and Old, and upon the classic children's literature of the past two centuries, but distilled into pure de Lint, faithful to its sources yet shaped by his own sensibilities. An enhancement rather than expansion of A Circle of Cats, the collaboration of writer and artist produces a fusion of word and image into a seamless whole, delighting the eye anew with the turning of each page. There are darker tones, to be sure, as snake-bite carries young Lillian past the jaws of death to the tribe of cat, and the magic of the deep wood that restores her humanity will come at a cost, and a debt owed. But that's what a good fable is, timeless yet always cognisant of time's passage. Charles de Lint is a poet, painter, musician, reviewer, essayist, and writer of novels and short stories for adults, teens, and children. His more than 70 novels and collections have won numerous awards, including the World Fantasy Award, and he has taught creative writing workshops for adults and children throughout Canada and the USA. He lives in Ottawa. The Sunburst Award jury says: In this near-future novel, Cory Doctorow brings attention to issues that are relevant to today, focusing on government exertions of control, economic issues, student debt, espionage, and the role of technology both as an apparatus of state control and as a means of resistance. 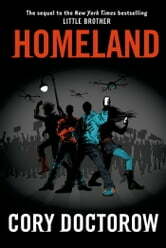 Homeland is a wake-up call, calling for a collective activist response and asking readers to question their social situations. Doctorow takes hacktivist hero Marcus into the murkiness of moral ambiguity where enemies can become allies and friends can be politically dangerous. Questioning notions of privacy and surveillance, this is a novel that allows readers to submerge themselves in paranoia and come out of it on the life-raft of skepticism with a politically empowered desire to change the world. Cory Doctorow is a science fiction author, activist, journalist, blogger, and co-editor of Boing Boing. He is the former European director of the Electronic Frontier Foundation and co-founded the UK Open Rights Group, and is a visiting professor at the Open University (UK), from which he received an honorary doctorate in computer science. A two-time Sunburst Award winner, he now lives in London. 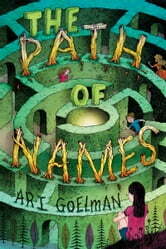 The Sunburst Award jury says: Ari Goelman's The Path of Names dives deep into mysteries not only of the kabbala and numerology, but of prepubescence and the complexities of quasi-romantic entanglement. 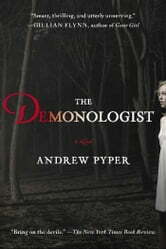 A likable thirteen-year-old amateur magician navigates camp counselors, ancient Hebrew, mean girls, and spiritual possession by a long-dead rabbinical scholar to solve the mystery of two ghost children displaced in time. This one's for those who love a smart, sassy heroine better versed in card tricks than in the social pecking order of summer camp. Ari Goelman is a graduate of the Clarion West writers workshop and the author of twenty short stories. A past winner of the “Writers of the Future” competition, he has also had academic work published in a variety of places, including the Journal of Architecture. The Path of Names is his first novel. American by birth, he now lives in Vancouver with his family and the rain. The Sunburst Award jury says: For generations mothers have left their sons in Ikkuma pit to be raised by their brothers. Urgle is a likeable screw-up in this dramatically screwed up world. Of all Ikkuma’s lost boys he is the least likely hero, but when his little brother is abducted, Urgle does not shirk his duty. Beyond the safety of the pit Urgle slowly begins to unravel the mystery of the absent mothers that defines McIsaac’s broken world. McIsaac has managed to construct a universe that is whole and unwholesome, confounding but coherent, and in Urgle she has created an everyboy in dystopia. Meaghan McIsaac is a self-described science fiction and fantasy nerd, who grew up in Canada and then went to live in the UK, where she obtained a Master’s Degree in children’s writing from the University of Winchester. She returned to Canada and now lives in Toronto. 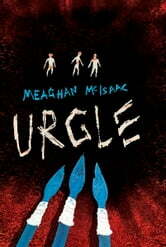 Urgle is her debut novel. The Sunburst Award jury says: The n-Body Problem is the apotheosis of Tony Burgess's zombie plague epics, the surplus flesh that was humanity now become the ultimate space junk, yet amid the horror there is a hideous beauty, nowhere more so than in the concluding vision of a rainbow reclaiming the corrupted firmament. The Sunburst Award jury says: The Luminaries could claim a place on shortlists for historical fiction, detective fiction, and experimental fiction, but this elaborate literary mechanism is driven by the fantastical mystery at its centre. The Sunburst Award jury says: This YA fantasy novel features excellent world-building, firstly in the Mongolian-inspired desert nomads, but especially in how the promise magic described in the first chapter is layered into a rich system that includes Absolute Vows, talking shadows, sages, and Generational Promises. The Sunburst Award jury says: Houses are places of home and comfort, but they can be terrifying places filled with generations of memory, inscribed by lives that dwelled in them before us, and Wild Fell, a modern ghost story, draws out all of those discomforts about transitory places and the lives that intersect them. The Sunburst Award jury says: Beyond the Rift by Peter Watts encompasses twenty years of short stories by a master of science fiction, scaling heights of prose and depths of profundity that do sweet justice to the collection's title.